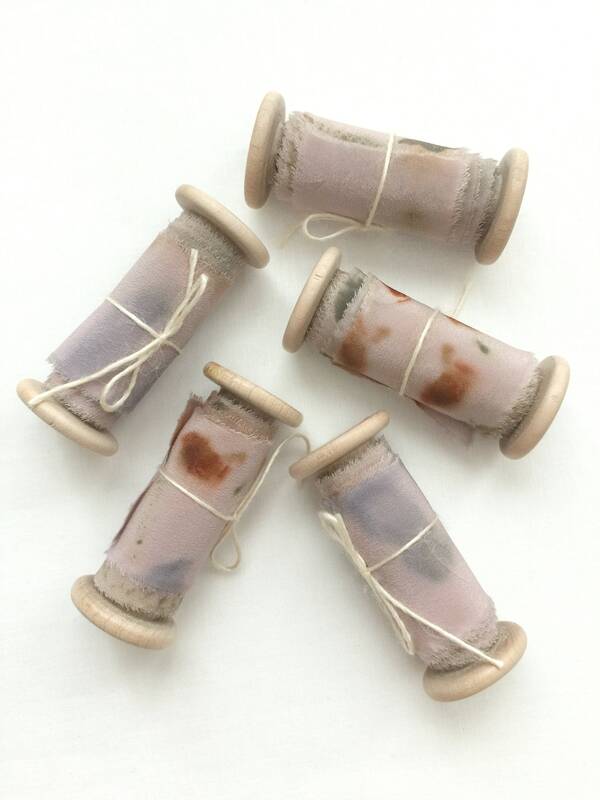 One of a kind botanical print hand dyed silk ribbon on handmade wooden spool. 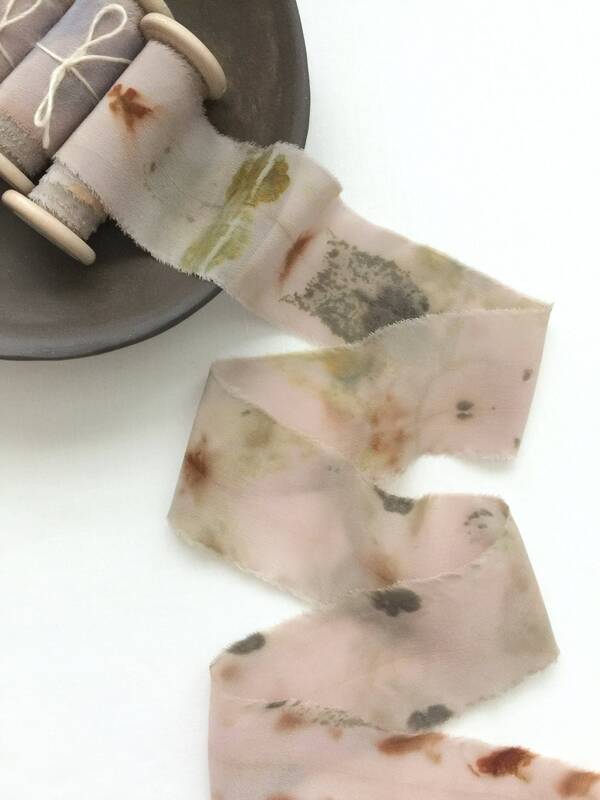 Eco friendly, plant dyed. 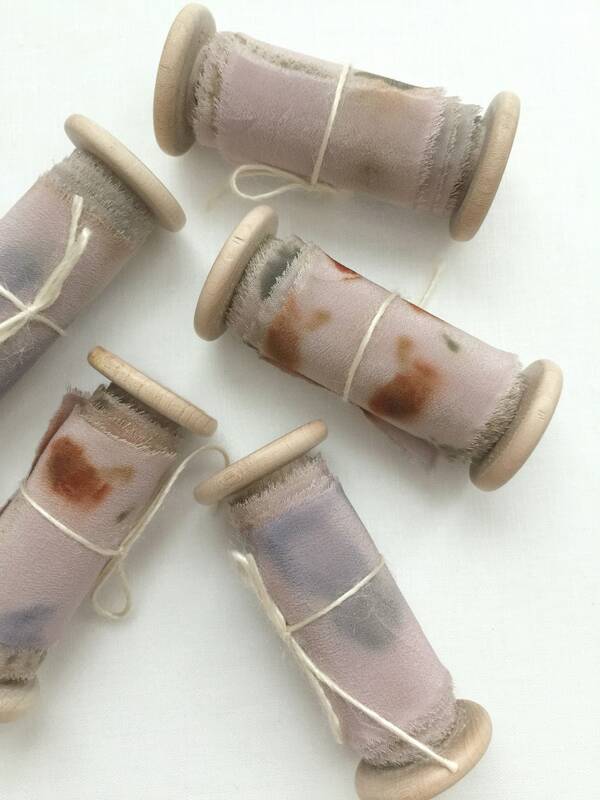 100% silk ribbon. Measures 2" wide x 2 yards long. 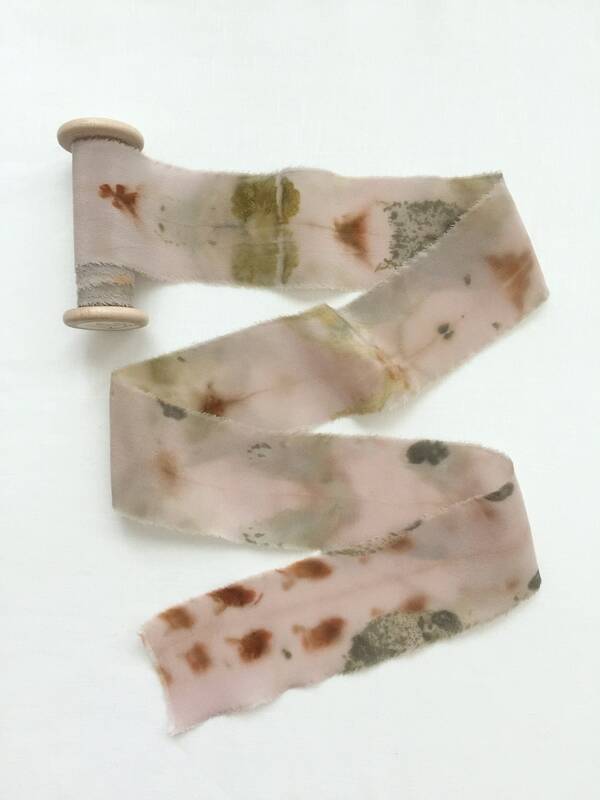 I used a natural dyeing process where flowers and leaves are rolled into the silk. 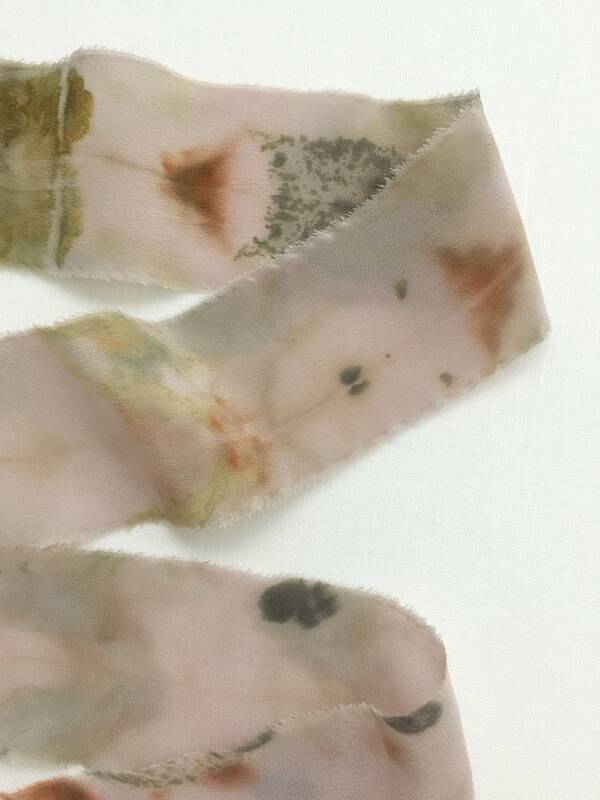 Each silk ribbon is unique and natural imprints vary. Colors are dusty pink, copper, blue, green, yellow. Great for adorning bouquets, wreath ribbon, gift wrapping, and photography styling!